This post is a brain dump of the steps required to set up a Typescript and React project with some explanatory notes – I intend to write about working with Typescript and React in a real world project in more detail soon. Some knowledge of React and of the basics of Typescript is assumed. These instructions will guide you through setting up a new project with Typescript, React, Webpack and Babel – neither Webpack nor Babel are required to work with Typescript, as Typescript can transpile ES6 to ES5 and do some degree of bundling itself; but using them enables Hot Module Reloading, and also allows you to run other Babel and Webpack plugins on the compiled output if desired. The resulting project template is available on Github at https://github.com/tomduncalf/typescript-react-template. Atom users will need to install the atom-typescript plugin, which is excellent, but currently doesn’t support some of the features in Typescript 1.9, and seems to be lacking an active project leader. Sublime users will need the official Microsoft Typescript package (https://github.com/Microsoft/TypeScript-Sublime-Plugin), which is also very good. Visual Studio Code users don’t need to install anything – it’s already set up for Typescript. All of these editor/plugin combinations work well, and will automatically detect Typescript projects and offer the appropriate autocompletion and error highlighting. Visual Studio Code has the best Typescript integration (as you might expect from Microsoft!) and is noticeably faster than Atom. In the past, I was put off using VS Code due to the lack of tabs, but as these are now available in the latest Insiders build by enabling a flag, it’s now my recommended editor. The Atom and Sublime plugins offer broadly similar functionality, and I have always used Atom in the past, but I can’t fully recommend it at the minute due to the uncertain status of the atom-typescript plugin and its lack of support for Typescript 1.9 features (although this is fair enough, as it is still a beta). The Sublime plugin is an official Microsoft product, so shouldn’t suffer from the same issues, and is a great choice if you are already a Sublime user. Note: If you are using Visual Studio Code, see step 1 for additional setup required to make it use the typescript@next compiler. 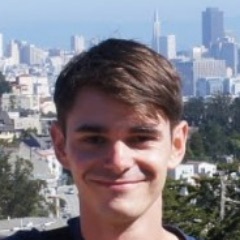 If you want to lint your code, you’ll want to install a tslint plugin for your editor and setup tslint – see the project page at https://github.com/palantir/tslint/ for more information. Install Typescript globally - this is optional, but it’s handy to have the Typescript compiler tsc available globally at the command line. We will use typescript@next (version 1.9.x) even though it is still in beta, as it supports installing type declarations from npm rather than having to use the typings tool, which is the future of working with type declaration files and makes life much easier. If you are using VS Code, you need to tell it to use the Typescript compiler that you installed with npm, otherwise you’ll get syntax errors as the internal VS Code Typescript compiler is v1.8 and so doesn’t support type declarations installed from npm. "module": "es6" tells tsc to output code which uses the ES6 module spec (i.e. import statements). It’s also possible to set this to e.g. commonjs, in which case tsc will convert your code to that module spec, but as we will be putting our compiled JS code through Webpack, we can keep it as ES6 and let Webpack handle the module bundling. This also allows us to use async/await, which is understood by Typescript but not currently able to be transpiled – instead, we can use Babel to handle the transpilation of async code. If we weren’t using Babel, this setting could be omitted or set to es5, to make tsc do the transpilation of ES6 to ES5 itself. "moduleResolution": "node" tells tsc to use the Node module resolution strategy. This allows Typescript to load type declarations supplied alongside npm packages (e.g. MobX includes its own type declarations in the main mobx package), and with the baseUrl option, allows us to use absolute-style imports for local modules. "baseUrl": "src" tells tsc to look in src for any modules we import that aren’t found in node_modules. This allows us to write absolute-style imports for local modules, e.g. import Whatever from 'components/Whatever' rather than import Whatever from '../components/Whatever', which is great for one’s sanity. Note that this settings does not work with the current version of atom-typescript (see https://github.com/TypeStrong/atom-typescript/pull/849) – remove this line from your tsconfig.json if you want to use Atom. You can get an approximation of the absolute-style import by using "moduleResolution": "classic" (which will walk up the directory tree until a match is found, so not the same behaviour, but similar end result in many cases), but this breaks the ability to automatically import type declarations supplied with npm packages. "allowSyntheticDefaultImports": true allows us to use ES6 import syntax for npm modules which don’t have a default export. "noImplicitAny": false tells tsc not to warn us if any variables are inferred as having a type of any. It’s actually probably good practice to set this to true, but it does mean you’ll potentially have to be more liberal with type annotations. "sourceMap": true tells tsc to output a source map, which enables easier debugging from the browser as it can tell you where in the original .ts source file an error occurred, rather than just in the compiled .js. "outDir": "ts-build" tells tsc to output the compiled .js files to a directory called ts-build (which can be .gitignored). The default is to output them alongside the original .ts source files, but this gets messy. It should be noted that most of the time, we won’t be outputting the compiled .js to disk, as the Webpack loader will do the compilation in memory, but it is sometimes useful to be able to invoke tsc manually and inspect the compiled output. "jsx": "preserve" tells tsc to leave JSX code as it is, meaning that something else (in this case, Babel) is responsible for compiling it down to React.createElement function calls. It is possible to set this to "react" instead, which will cause tsc to output React.createElement calls directly, but it can be useful to have the raw JSX available to Babel, e.g. for plugins to process. src/index.tsx(1,24): error TS2307: Cannot find module 'react'. The issue here is that the Typescript type declarations for React aren’t installed, and so Typescript says it can’t find the module, as type declarations are required for any modules that are imported (the error message doesn’t make this especially clear!). Something interesting to note, however, is that tsc has created a ts-build directory and written index.jsx there, with sensible contents – in general, the Typescript compiler will try and emit code even if there are errors, as long as they aren’t fatal (although this can be disabled in tsconfig.json with the noEmitOnError option). Before installing type declarations for React, we first need to check if they exist – the majority of type declaration files are created by the community rather than the library authors, but most popular libraries are covered. The type declaration system has been through several iterations of tooling (first tsd, then typings) but is now moving to be purely npm based. The original definitions live in the massive DefinitelyTyped Github repo, and are automatically synced to npm. It seems that the only way to check if a package has type declarations in npm is to search at http://microsoft.github.io/TypeSearch/ – type in react, and indeed it does have a definition, hosted on npm at https://www.npmjs.com/package/@types/react. Previous iterations of the typing system had the ability to search from the command line, which is preferable in most cases, so hopefully someone will fill this gap for npm-based type declarations – for now, you could install typings (https://github.com/typings/typings) and use that to search DefinitelyTyped, or just use Google/GitHub/npm search. And now both tsc and your editor should be happy with the React import. At this point, you should also be able to get a sense for the autocompletion Typescript enables, by typing React. somewhere in your index.tsx file and seeing the autocomplete dropdown with the correct options. To my mind, it makes sense for type declarations to be in devDependencies (so npm -D rather than npm -S). Also note that the structure of the type declaration package name is always @types/<npm_package_name>, so you could take advantage of this naming scheme and try installing types for a given package based on its name rather than using the search in most cases. One other thing worth noting is that the current version of the React typings is 0.14 whereas we are using React 0.15 – this is one downside of type declarations being maintained by the community, but in most cases it doesn’t present too much of a problem (as long as the API hasn’t changed much). It is of course possible to put in a PR to DefinitelyTyped to fix the type defs if they are out of sync (or to augment them with local type declaration “overrides”, or in extreme cases, to import the module without any typings – more on that later). As mentioned above, we’re using Babel to transpile to ES6 output from Typescript so we can take advantage of the Babel plugin ecosystem, and Webpack as our module bundler; so we need to setup Webpack to invoke the Typescript loader and then pass the output to Babel. I won’t go into too much detail on the Webpack setup as it’s a huge topic in itself! // This will be our app's entry point (webpack will look for it in the 'src' directory due to the modulesDirectory setting below). Feel free to change as desired. and see that it has created an output file at dist/app.js (you probably want to gitignore the dist directory). Nearly there! All that remains is to add hot module reloading to the project. In reality, this is completely optional, but I find it invaluable for working on a React project, so would consider it part of any project’s setup. It’s also not really Typescript-specific, but there aren’t many good guides out there for setting up the latest version of HMR, and setting it up gives us a chance to see a couple more tips on working with Typescript. Next, install the react-hot-loader npm package. We are using the latest 3.0.0 beta version, as it supports stateless functional components. Finally, we need to create a skeleton app set up in a suitable way for hot module reloading. Effectively, this renders our app inside a special container (the react-hot-loader AppContainer), and then waits for Webpack to notify it of any changes to any of the app’s files (which will trigger HMR requests, which end up bubbling up to the top level parent module, containers/App). When a change is detected, the whole App container is reloaded and the existing instance of it in the DOM is replaced with the new, modified one. The trick here is that the react-hot-loader AppContainer takes care of persisting the state of components (whether local state or in Redux or similar) when it is reloaded, so in most cases, we don’t lose where we were in the app. Here, we are using require rather than import. This is a useful trick to know, as it allows you to import an npm module without requiring any type declarations. In this case, there are currently no type declarations for react-hot-loader, but if we use require, it is treated as being of any type. This can be handy for working with modules that don’t have type declarations, particularly if you are just trying out modules to see if they are suitable and don’t want worry about typing them. If you use const Whatever = require('whatever'); rather than import Whatever from 'whatever';, Typescript won’t complain about Cannot find module — although it also won’t offer you any type safety when working with this module! declare is how we can tell Typescript about global variables that it doesn’t already know about. Here, we are telling it that a global variable called module will exist, and it’s type will be an object, which has a key called hot, who’s value is of type any (which means it will not be type-checked – a bit of a cop out, and generally any types should be avoided, but this is okay for our purposes here). src/index.tsx(5,26): error TS2304: Cannot find name 'require'. This is because Typescript doesn’t know what require means. There are a few ways round this, for example installing the node or requirejs type declarations, but the one recommended at https://github.com/TypeStrong/ts-loader#loading-other-resources-and-code-splitting which plays nicely with CSS modules is to create your own declaration for require — this also gives me the opportunity to demonstrate how we can create our own local type declarations for libraries! It’s up to you where you would like to keep your local type declarations, but I would suggest a top-level directory named type-declarations. If you are using the default exclude pattern for tsconfig.json, any *.ts files in your entire project except those in node_modules will automatically be included in the compilation, so we don’t need to explicitly tell Typescript where we have put the declarations. Run tsc again, and the warning should be gone (with just one about containers/App being missing remaining) – we’ve told Typescript that calling require with a single string argument will return a variable of type any. The final step: we need to create our actual App container component. We’ll just create a placeholder for now, but in reality this would be the root component of your app (e.g. where your <Router> lives). and go to http://127.0.0.1:3000 to see the “Hello World” message! Update the App.tsx file to say something else, and you should see the app hot reload. That’s basically it in terms of project setup. As mentioned at the start, the complete template is available at https://github.com/tomduncalf/typescript-react-template – I think it’s helpful to go through each step and understand why it is required the first time, but in future, you can use the template you’ve created as a starting point for new projects. In terms of next steps, it’s really just a case of building your app as usual, but taking advantage of Typescript’s type checking and editor integration. The only real pain point is likely to be working with type declarations for third party libraries, but using npm for the typings has made this easier, and there is always the option to import the library using require and bypassing the need for type declarations initially. I intend to write more about working with Typescript and React soon, but hopefully this is a useful start – any questions, comments or feedback is very welcome either via the comments, or via Twitter or email.